Product prices and availability are accurate as of 2019-04-06 22:09:10 EDT and are subject to change. Any price and availability information displayed on http://www.amazon.com/ at the time of purchase will apply to the purchase of this product. Bundle of 2 CD-ROM's, one fostering an appreciation for books and the other fostering an appreciation for math. 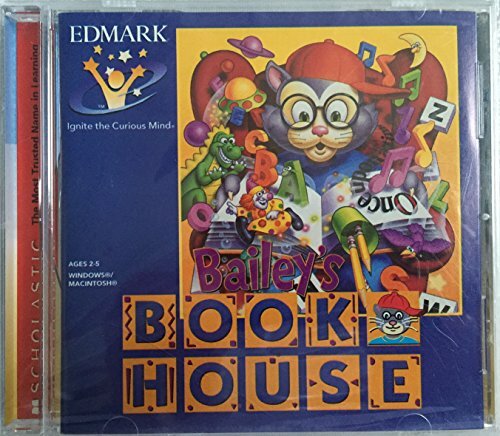 Bailey's Book House is recommended for children of ages 2 to 5. 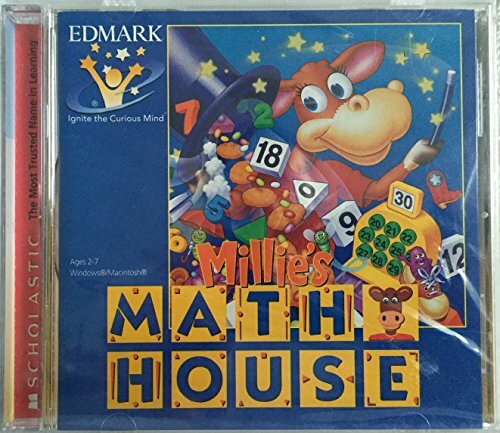 Millie's Math House is recommended for children of ages 2 to 7. Double speed or faster CD-Rom drives are recommended. Bailey's Book House ~ Develop a Love for Reading with Bailey! Millie's Math House ~ Develop a Love for Math with Millie! Excellent educational bundle for young children 2 - 7 years old. Functional on either Windows 3.1, 95, or later, or Macintosh. Edmark caption: Ignite the Curious Mind!